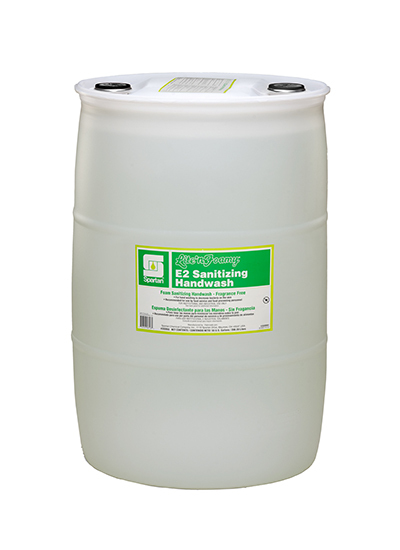 Lite'n Foamy E2 Sanitizing Handwash is an alcohol-free, triclosan-free, fragrance free foaming, anti-bacterial handwash designed for use in food processing and service areas. The Lite’n Foamy system is the economical choice for end-users. With reduced packaging, it is also the sustainable choice to reduce landfill waste.